So here it is, the first of my series of positive cycling stories, to overcome the gloom of my last effort. Yes, for the next six weeks I am going to bring you upbeat and positive cycling news, views and pictures that I gather from my rides. The first comes from the bike racks outside my local library and supermarket. I’ve increasingly noticed that they are full – in recent weeks I’ve had to attach my bike to nearby railings, as the rack is full. Now, it’s not a huge rack – only three stands. But when I moved to the neighbourhood, I often had it to myself. So it seems that more and more people are riding to our local shops, which is great news. Great news for them, as it’s fun and keeps you fit. Great news for the environment, as it means less pollution and greenhouse gases. And great news for local businesses, as evidence shows that people who ride bicycles to a shopping location spend more money in more stores than those who drive. I was at the library this morning, and couldn’t help noticing these bikes locked up at the rack. 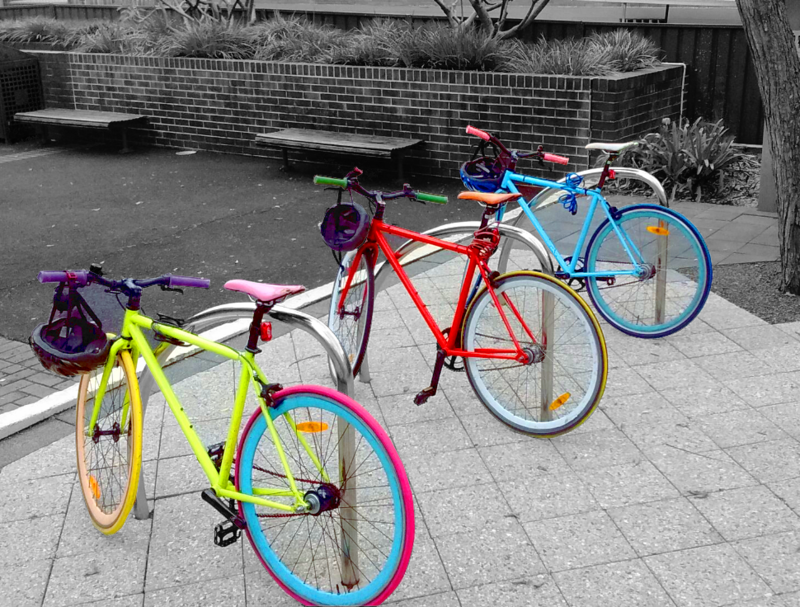 Three colourful singlespeeds, artfully parked as if for a photoshoot. Even my daughter noticed them unprompted, and commented that she liked the red one best. Yay for colourful, fun, single-gear bicycles! I haven’t been blogging a great deal about cycling recently. That’s not because topics don’t endlessly suggest themselves; as I cycle back and forth to work hundreds of potential articles fly around my brain. Aside from a busy life that seems to make writing difficult;the other problem is that most of the things I mull over on my commute are relentlessly negative. Since most of my riding is on cycling-unfriendly roads at peak times, under what is one of the most cycling-unfriendly governments in the world, it’s sometimes hard to capture the enthusiasm and joy that comes from riding a bike. That’s not to say I hate my commute. It’s way better than driving (which I do occasionally, and is awful). The turn of the pedals, the satisfaction of cresting a hill, the feel of rain on my face – these are all wonderful things, and everyone should ride a bike and experience them. But I have held back from writing about the ridiculous increases in fines for petty offenses ($106 for not having a bell, for example), the continued anti-cycling rhetoric from the Minister for Roads, Duncan Gay, the victim blaming from the head of the NSW roads authority, and the stalling of so many worthwhile cycling infrastructure projects whilst unwanted multi-billion dollar urban motorway projects go ahead unbridled. I also did not write about the one positive action that happened – a new road rule was established that required car drivers to give at least one metre of clearance when overtaking a cyclist. Of course, this was wrapped up with all the fine increases, and all the government and media coverage and emphasis was on how these terrible cyclists were being brought into line and punished. There was no public information campaign, for example, to explain the 1m rule to motorists. That said, it did get media coverage; mostly from the cyclist-hating right-wing Murdoch press that mostly consisted of clueless comments about how it would make overtaking cyclists more dangerous, as those poor motorists were now forced into the middle of the road (!). Helpfully, the chief of the NSW Police also came out and said that they would not prosecute infringements of this law (unlike the huge new fines for bells and helmets, which they enforced with great alacrity). But, to take a positive from this sea of negativity, I did notice that after the law was introduced, motorists did, on the whole, start leaving more space when they went past me. There just seemed to be a few less close passes, or drivers ‘squeezing past’ rather than waiting five seconds to safely overtake. However, with virtually no enforcement from the police (only three fines issued for close passes in the first 6 months) and no media reinforcement, things have now returned to normal. Those drivers who, when the issue was in the news, did think a little harder when seeing me up ahead, have sunken back into complacency – too busy talking into their mobiles and breaking the speed limits to take any notice of me. And, accordingly, the close passes are back. I probably get a car or truck passing me closer than 1m at least once a week. I now have cameras on my bike that make it easy to measure this quite precisely, so I can be quite sure. However, I until now have not taken any complaints to the police. For the most part, the passes are not very much less than 1m, and the effort of trying to report them only for the police to do nothing just doesn’t seem worth it. It was very close. I could have reached out and touched the car. I held my breath and held my line, just hoping she wasn’t going to move a tiny bit closer and clip me. Just so thoughtless. She saw me, she hesitated, and then decided that my safety was worth less than the five seconds she would have to wait to overtake properly. The police, predictably, were not interested. I had to fight to get them to even take a statement, and they immediately told me they would not issue a fine, as they considered that the matter was ‘not serious’. I did get a call back from the officer later that day to say he had spoken to the driver, who was ‘apologetic’. So there we are. 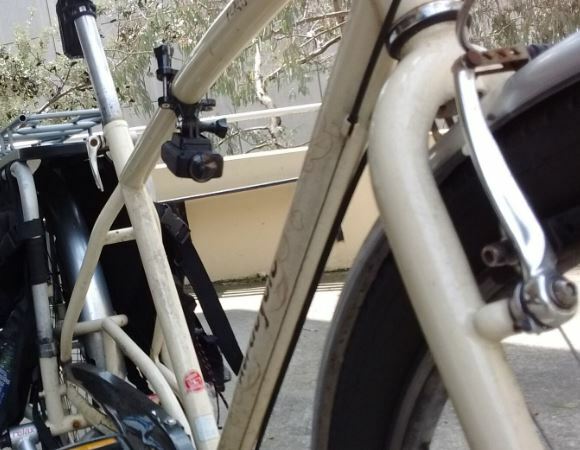 An everyday tale of cycling in Sydney. I’ll finish with a promise. I will try to publish a positive cycling story on this blog every week for at least the next six weeks. Remember folks, cycling is still fun. Cycling is still safe. And cycling is still life-affirming. I’ll try and remind us all of that over the next few weeks. Do you suffer from insomnia? Well, if you do I may have the answer. It takes the form of a BBC radio programme called ‘In Our Time‘, in which exceptionally plummy-voiced academics discuss incomprehensible subjects in soporific tones. It just takes a little of Melvyn Bragg’s introduction (‘and joining me to discuss the influence of thirteenth century epic poetry on the development of the Romance languages are, Edwin Higginbotham, Emeritus Professor of Nearly Everything at the University of Somewhere….) and I’m asleep. It’s one of my favourite programmes, and I assume all this erudition is somehow lodging itself into my somnambulistic brain. A little while ago, I stayed awake long enough to pick up that the following week’s programme would be about George Orwell’s Animal Farm. This prompted me to read the original book, which I’m not sure I had ever actually read. The story is, of course, very familiar. The animals of Manor Farm rise up against the brutal and incompetent farmer, and after chasing him away begin to manage the farm for themselves as a sort of co-operative utopia. In those first very heady months everything goes well, with all the animals working together to improve their conditions. 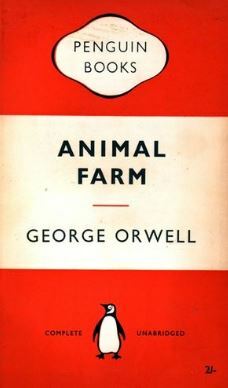 However, it soon starts to go sour, as the pigs (the intellectuals of the farm) start to take more and more for themselves as they exploit and terrorise their fellow animals until, in the famous last scene, the pigs and men in the farmhouse appear indistinguishable from each other, the pigs having turned into the very oppressors they sought to overthrow. It is a searing commentary on the events of the Russian Revolution, and the eventual rise of Stalin, although written at a time when Britain was in the throes of the Second World War, with Russia as an ally. Because of this, here was significant pro-Russian sentiment in the UK at the time, and Orwell struggled to find a publisher. It was eventually published just after the war, at a time when the pro-Russia sentiment had evaporated and the horrors of the Stalinist regime were becoming more clear. However, the historical overlay is not necessary to enjoy the book; although it’s a bleak read. It has a kind of relentless inevitability about it; from the moment the pigs first take the milk for their mash the spiral down towards the final outcome seems somehow fixed. It is of course a classic, and worth reading again if you haven’t read it for a while. I recently had the dubious pleasure of attending a ‘management off-site’. Not in Fiji, or even the Blue Mountains, but in Manly. Oh so glamorous. After our executive lunch in a beachfront cafe (where they forgot to bring half the things we ordered), we had ice-cream from a concession in the ferry terminal. Oh yes, I lead the glamorous life of a business executive. The last of us to make their selection was our Operations man, an affable German still fairly new to Australia. After examining the flavours on offer, he plumped for a scoop of chocolate and a scoop of mango. How we scoffed. ‘Amateur!’, we told him, having chosen two flavours that clearly had no chance of making a harmonious dual-scoop marriage. And, indeed, with some chagrin, he had to admit that it didn’t really work as a blend. ‘But vee do not have all ziss selection of ice-cream in der Deutschland,’ he plaintively cried. We nodded knowingly. No Australian would ever make such a flavour faux-pas. I bought some, and took them to work for people to sample, and the results were not spectacular. The mango cream is sort of OK, in an over-sweet mango flavour kind of way. But it just fights with the chocolate on the palate, and the whole thing is a sickly mess. 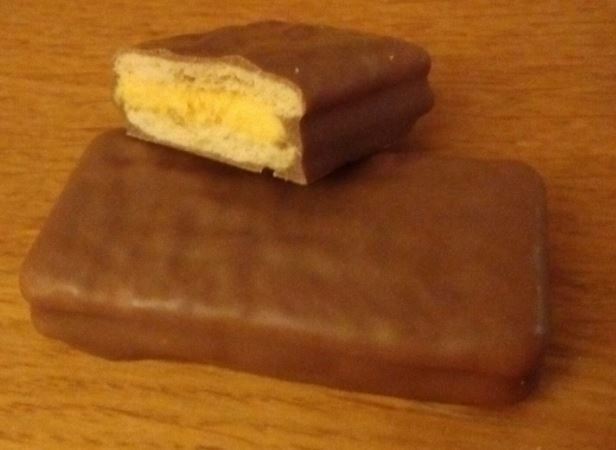 Sorry Arnott’s, a mango chocolate biscuit just isn’t going to work. Even a German could tell you that. I’m going to give these a two out of ten. Following my resolution to read a book from the library every time I take the kids there, I picked up ‘The After Party’ from the display of new books by the children’s section, without really even glancing at it. It’s not a book I probably would have chosen normally, but I think this new ‘grab from the library’ strategy has quite a bit going for it, as you get to read some interesting and unusual books. This book is set in 1950s Houston, and drips with period detail – the rich, bored, un-emancipated housewives of rich oilmen live in a dizzy world of socialising and manners. Their lives are at once luxurious and stifling. The book revolves around two characters in this world – Joan, from one of the oldest and richest families, and Cece, her friend, confidant and sometime chaperone. Joan is unconventional; straining against the barriers of convention. She is the darling of the gossip columns as she moves from one outrageous incident to another. Cece, desperately wanting to conform to the expectations of society, is drawn to Joan and spends her life in Joan’s orbit, both enthralled and appalled as she attempts to understand and corral Joan’s behavior. 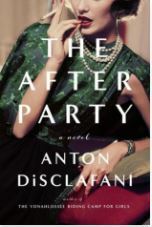 The novel explores the relationship between these two women as Joan’s life spirals out of control, and DiSclafani deftly explores their obsessive and stifling friendship, set against the backdrop of rigid societal expectations. It’s an enjoyable book, but not exceptional, and the pace drags a little sometimes. It is an interesting window into both the era and the dynamics of female friendship.